Escape the crush of the city and soothe your mind, body, and soul by trekking south to one of the Sunshine State’s hidden gems for wellness. Self-care is the best care. Escape the crush of the city and soothe your mind, body, and soul by trekking south to Martin County, Florida. One of the Sunshine State’s hidden gems for wellness, Martin County is located between South and Central Florida along the Atlantic coast. Unlike the packed tourist hotspots in South Florida and Orlando, Martin County boasts miles of uncrowded beaches, waterways perfect for kayaking and stand-up paddleboarding, and tranquil parks. 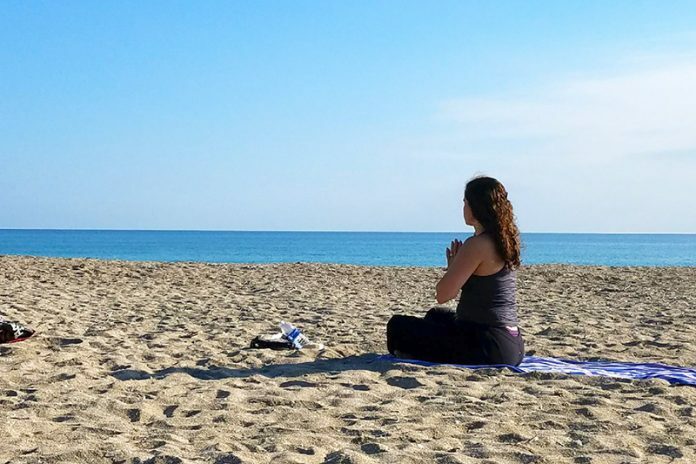 In addition to its natural beauty, Martin County is home to plenty of wellness-focused small businesses that are sure to delight and recenter you. Here are seven stops to make on your wellness escape to Martin County. If you haven’t tried stand-up paddleboarding (known as SUP), you’re missing out on great exercise and fun. Zeke’s Surf, Skate & Paddle Sports in downtown Stuart offers SUP yoga as well as sunrise and sunset SUP tours. Already a SUP expert? You can rent paddleboards and enjoy a day at your leisure, too. Other SUP outfitters include Ohana Surf Shop in Stuart, where you can learn how to surf or SUP. You don’t need to hit the water to realign your chakras—they off a yoga class right on the beach. Also in Stuart, South River Outfitters provides kayak and canoe rentals so you can explore beautiful Halpatiokee Park. 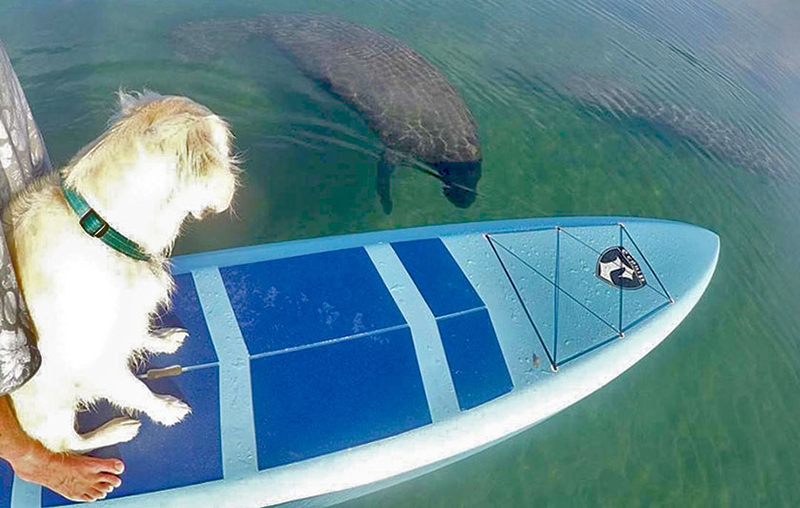 Stand-up paddleboarding with a dog…and manatees! There are more than 77 parks in Martin County to choose from. 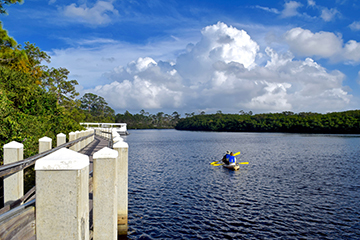 Hobe Sound is home to two must-see parks. For starters, Jonathan Dickinson State Park is ideal for hiking, boating, camping, freshwater fishing, and biking. The Loxahatchee River, Florida’s first federally-designated Wild and Scenic River, runs through the park. Don’t miss the Blowing Rocks Preserve, named for its rocky Anastasia limestone shoreline, the largest on the U.S. Atlantic coast. As one of Florida’s natural wonders, the preserve is home to an intact Florida dune habitat with beach sunflowers, bay cedars, sea grapes, and sea oats. Sure, Florida is known for its beautiful beaches, but farther inland lie tranquil swamplands. From October to May, you can tromp the swamp for free at the Barley Barber Swamp in Indiantown. A tour guide will walk you just over a mile along the closed-loop boardwalk to admire 400 acres of pristine freshwater wetlands and ancient bald cypress trees. Another Indiantown destination: Wandering Trails, a family-owned and operated equine facility. Go on a horseback ride through 600 acres of pastures and wooded trails. You can ride any time of day, but the sunset and early-morning rides will help you reconnect with nature—and your inner peace. Looking for ultimate relaxation? One option is Hutchinson Shores Resort & Spa located on Jensen Beach. Once you’re there, unwind with spa services or enjoy the crystal-blue pool and private stretch of beach. If you want blood-pumping activities, Hutchinson Island Marriott Beach Resort & Marina is an ideal choice for the your inner adventurer. From tennis, biking, and golf to kayaking, swimming, jet skiing, and other water sports, you’ll have no shortage of things to do. Ground Floor Farm is a food and community space in Historic Downtown Stuart. Founded in 2014 by three Stuart natives, it’s an eclectic mix of suburban farm, kitchen workshop, arts venue, and an open-source community space. With farm-fresh offerings on its menu and yoga classes, it’s a welcome respite from the grind of your nine-to-five life. Need a quick pick-me-up? Check out Fruits & Roots Juice Bar & Vegan Café in Stuart, which features a plant-based menu consisting of freshly-made, cold-pressed juices, smoothies, juice shots, oat bowls, and other healthy snacks. They even have ginger beer! But if caffeine is more your speed, try the charmingly-cozy Bunkhouse Coffee Bar in Jensen Beach. It offers an inviting atmosphere and clean, organic coffee ingredients. Come start your day with a tasty fruit-and-acai bowl with your fresh brew—you won’t be disappointed. 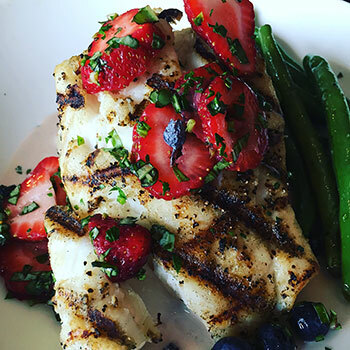 Whether your palate is craving farm-to-table or healthy comfort food, Stuart is the place to find a variety of decadent restaurants. Casual meets upscale at the Gafford where you can watch the chef dream up flavorful American and seafood cuisine through the open-concept kitchen. 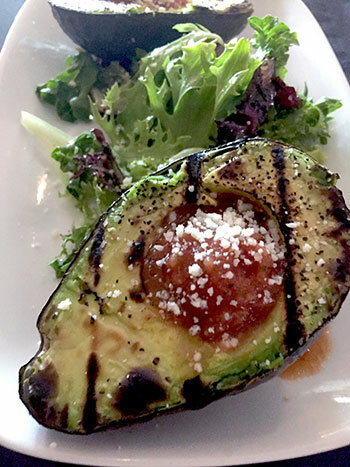 For a more down-to-earth dining experience, Osceola Street Café has a quaint, relaxed vibe. It’s the perfect setting to enjoy homemade breakfasts, baked goods, and specialty soups, salads, and sandwiches. At nighttime, the café transforms into an elegant-yet-casual dining experience with live music, artful entrées, and an uncomplicated wine menu. 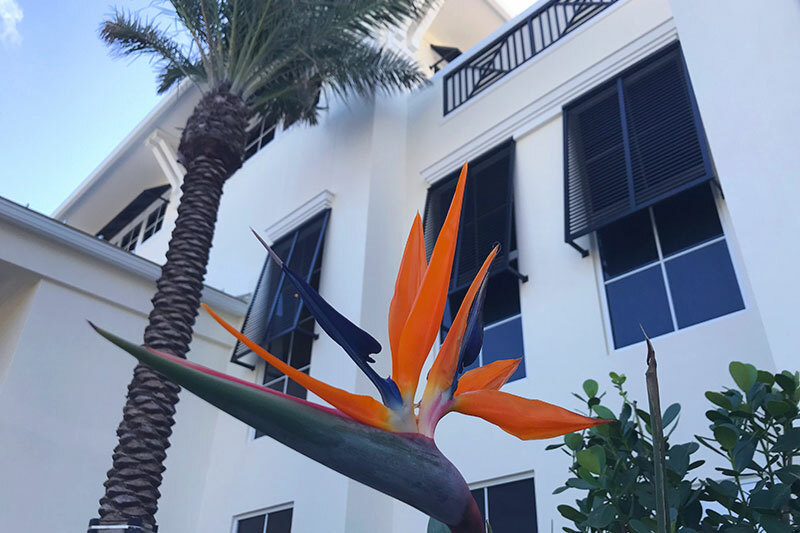 Other delectable options include Ian’s Tropical Grill, a contemporary New American restaurant, and District Table & Bar, a seasonally-driven restaurant with Southern roots. It sources most of its ingredients from local farmers and fishermen. For a complete guide of things to do and see along with a list of dining, accommodations, and shopping recommendations in Martin County, visit DiscoverMartin.com.